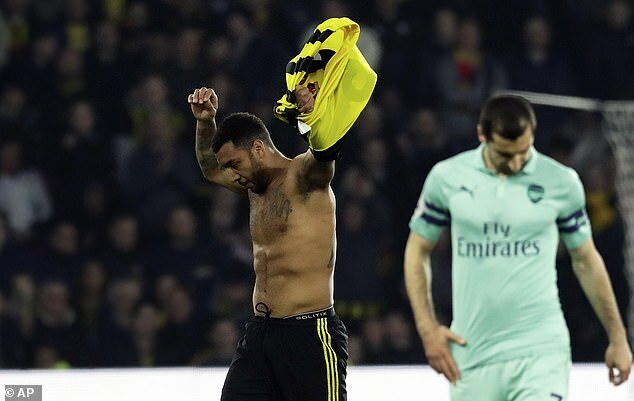 Director of Watford J. Avi Gracia remained scratching his head, why Judge Craig Fausson sent Troy Deeney the 1-0 defeat to Arsenal. 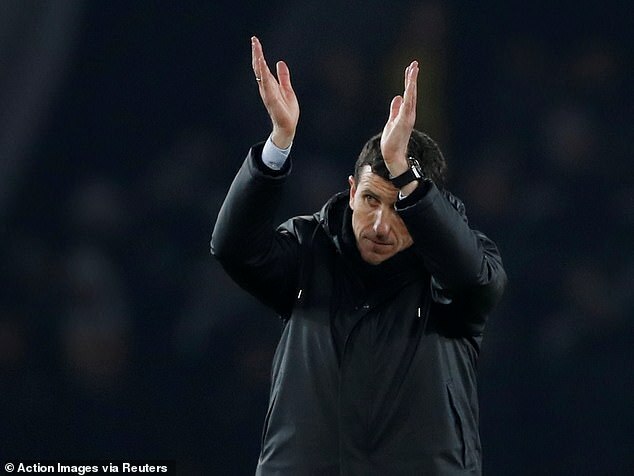 Hornets saw a red red bullet after 11 minutes for Vicarage Road after sending a shot from Lucas Torreira after 2 minutes, following a good free kick from Ben Foster who left Pierre-Emerick Aubameyang completely alone. Daryl Janmaat came close to extending the visitors' lead when he found himself completely unmarked in front of the goal after a pass through the middle, but Aobameyang blocked it and hit a ball. This proved enough for the Gunners, who returned to the Premier League four after a clean sheet in the first season. Pausson's decision was made with the help of the cathedral and the rehearsals showed Denny's arm creating contact with the Spaniard's face. However, Garcia remained surprised to see the official official red card. "I do not agree, but I respect the judge's decision," Gracia said. "Maybe it's a yellow card, but a red card? I do not understand why the judge did it. "I'd rather not just talk about it, he (Dini) should not explain anything to me, I could see the play and I could see the touch with his arm, but never with his elbow. What can I say? I do not understand the decision but we respect it. We tried to look for the decision. "There's a connection, but it's not with his elbow, it's in his hand or his hand, I do not know which part exactly. "I never saw an aggressive movement, I do not understand why the judge made that decision." Despite the fact that they played with a man less than 80 minutes from Watford put on the right display were lucky not to take at least a point. They beat the tree twice, through Craig Cathcart and Adam Massina, while Brand's nanny made some decent savings. "We have to compete well with 10 players and today my players do not just deserve to talk about the result," added Gracia. "It's true that they got the points but for me, in my opinion, we had good performances, because with 10 players we created a few opportunities and controlled the game. 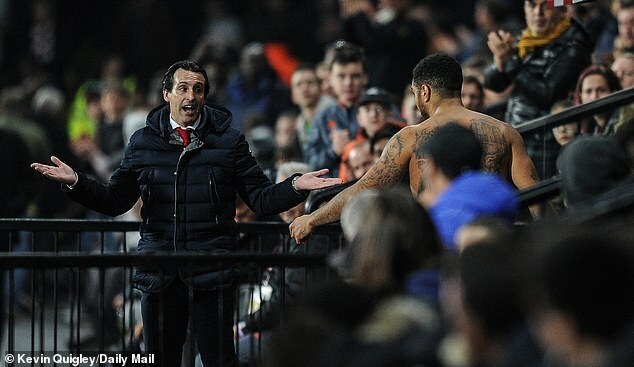 Arsenal manager Onai Amery adopted a position that his predecessor, Arsene Wenger, was famous for claiming he had not seen Denny's red card, nor had he revealed what Dini told him on his way back to the locker room. Amery said: "He said something to me, I can not say, because I do not know, I replied, I do not know. "I did not see and I respect the judge's decision, obviously it helped us, with this decision because playing with one less player for them was harder. "But our goal gave us the advantage and helped us take more control over the game. "But we did not do everything we wanted to do, but we can be happy with the result because coming here is difficult. "The three points are the most important today, but we worked on being consistent in our structure, protecting the long ball and the parts that are very strong team doing it. "With the ball I wanted to do better, we did not do it but at certain moments we had a chance for the second goal, but we could not take them."